View Cart “The Story of Basketball Great Clyde Lovellette” has been added to your cart. While his disease broke down his body, his mind remained strong. He spent most of his life trying to figure out what happens a the edge of black holes. He even wondered what would happen if someone would tumble and fall into one of these black holes. Because of this he advanced our knowledge of this subject by discovering Hawking radiation, the energy emitted by black holes. Dr. Hawking believes that science should be understood by everyone, so he makes his work understandable to everyone, not only scientists. He has written best-selling books, appeared on many television shows, and has been the subject of several biographies and movies. But be assured, Stephen is a scientist first and a celebrity second. He has advocated for disabled people and has won many awards for it. 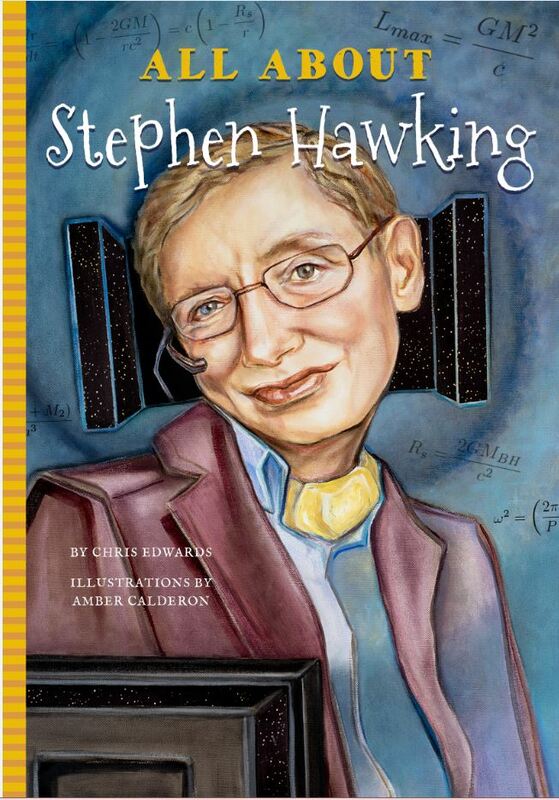 Stephen realized his boyhood dream of educating people about the universe. Speaking through a computer, Hawking keeps trying to help people understand the universe around them. Chris Edwards, Ed. D., has had his scholarship and teaching methodology published in journals produced by both the National Council for History Education and the National Council for Social Studies. He is a frequent contributor on topics of law, logic, and theoretical physics to the science and philosophy journals Skeptic and Free Inquiry. He proudly teaches world history and Advanced Placement world history at a public high school in Indiana.